The expat profile is changing and the property market is evolving accordingly. One operator is adding long-stay apartments to its portfolio to meet the needs of today’s international newcomers. The highly-skilled worker who comes to the Netherlands for a few months and then flies out again is on the decline. Today, expats are more eager than ever to adapt to Dutch life and live like a local here. Expats stay longer in the Netherlands, with around half remaining for more than five years (CBS, 2015). In Amsterdam, ICAP’s 2017 survey found that expats were twice as likely to send their children to a Dutch school, rather than an international one; while other research has shown 38% plan to take Dutch lessons within a year. One thing that hasn’t changed is the popularity of Amsterdam, which is still the Netherlands’ most popular expat destination. The capital offers interesting employment opportunities for foreigners as big-name companies and organisations, seeking a hub within the Eurozone, establish offices in and around the city, many in the expanding Zuidas district to the south. But while the job market is booming, the housing sector has struggled to keep up and the shortage of accommodation in Amsterdam can be a headache for newcomers. Corporate Housing Living, the newest strand of Corporate Housing Factory (2013), which until now has focused on the short-stay model, is answering this call for longer-stay solutions with a new development: Falcon Living, in Amsterdam. 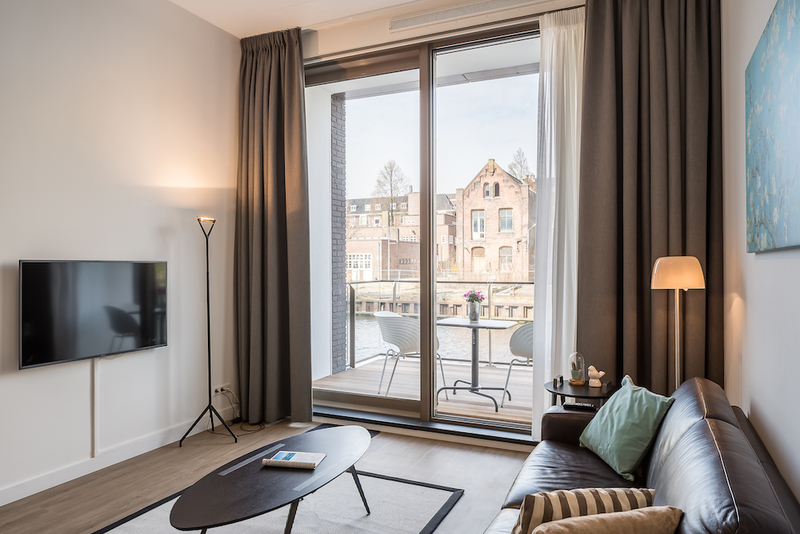 The smart, three-bedroom, serviced apartments, close to the Waterlooplein, all have balconies with a canal view and are available to rent for a period of between six months and two years. Offering a corporate solution that still feels like home, CHL links up with companies to provide high-quality, fuss-free accommodation for international employees as soon as they arrive. If people decide to stay on, then these stress-free early years in professionally-managed apartments give them time to find their feet and familiarise themselves with the way of life here – as well as the complexities of the housing market – before making a decision about buying or renting in the longer term. The concept behind the new long-stay apartments, explains marketing and communications manager Eva Valkhoff, is to offer both ‘a more homey experience for people who would like to stay longer’, and ‘a springboard to life in Holland’. The fully-furnished, fully-equipped apartments – you name it, they’ve thought of it – means that when expats arrive, they land on their feet, without the usual hassle of connecting utilities and arranging wifi. Tenants are greeted on arrival and shown around the apartment and the shared courtyard. The team can even arrange the airport transfer. The idea is that people feel immediately at home. There are no distractions from their new job and they can settle into life like a local as quickly as possible. Hotel-style perks such as weekly cleaning and linen change give newcomers more time to explore their new surroundings, integrate into their community, and make the most of their time abroad. Situated in the heart of the city, Falcon Living is a great base for taking in many of Amsterdam’s most famous sights. 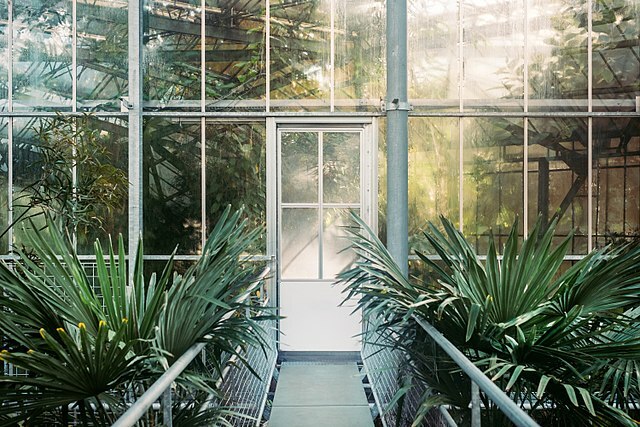 The Rembrandt House, the Stopera, and the Hortus botanical gardens are a short walk away, as are the canal-side cafés and restaurants intrinsic to the Amsterdam experience. Residents can shop alongside the locals at the bustling market around the corner, open six days a week, or venture further afield using the tram, metro and train links nearby. Another reason to stay longer in the Netherlands. Time to book those Dutch lessons. To find out more about Corporate Housing Living’s Amsterdam apartments, contact the team here.